Business owners know how important one email can be. To a customer, knowing a business’ email address can be the difference between making a sale or getting a bad review. In addition, businesses use emails to communicate to one another, both within the organization and to clients. Using a professional business email address is vital if you want your business to succeed. 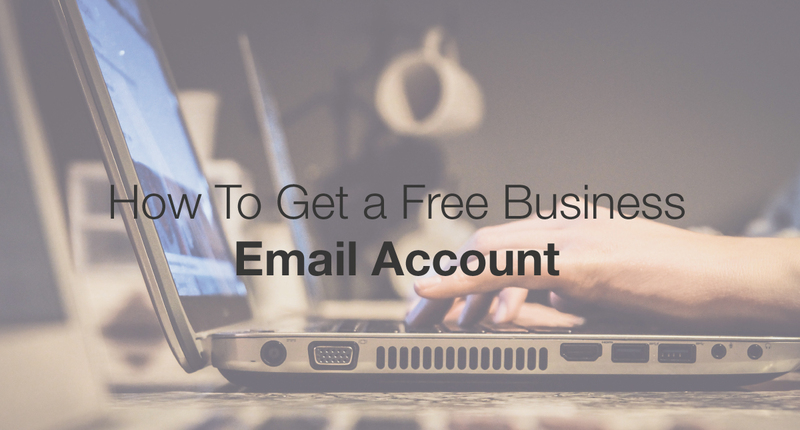 So is it possible to create a free business email account? Technically, yes! There are a few different hosting providers and email platforms that allow you to set up a business email account completely for free or if you purchase website hosting or server hosting through the host. Others will charge you extra to have email accounts, on top of your web hosting fee. Does it seem like too much trouble to set up an email address? It actually only takes minutes, and there are a lot of reasons why you should do it. For one, custom email domains promote trust in your company. A business email address is like a calling card. After setting up an account and using it to send professional communications, you will notice a better response from clients and customers who recognize your brand name in the email address. Using generic email addresses like Yahoo.com or even Verizon.Net are not recommended for businesses. Why? How do you feel when you get an email from JoeSchmoe333@gmail.com? Is it an email address you can trust? Business email addresses denote a registration, safety measures, and professional responsibility that just are not present with a regular email address. In addition, business email has so many features to help your business. It promotes communication between your customers and different teams. For example, you can set up a help@techsolutions.com to send emails to the customer service team. Sales teams need custom business email domains because B2B communications almost require it. You will not get a response to an unverified public email address domain like Yahoo.com or Aol.com. The tool below will help you to find the perfect domain name for your brand/website and professional email address. Simply type in your desired domain name and it will tell you if its available to buy. If not, it’ll suggest the closest matches to that domain name. All hosting providers offer business email of some kind. There are hosts that do not even configure this for you at setup, however. You may have to make manual record changes and go through a tangled nightmare in order to get your email setup. This is why you need to look for email service providers that offer customer support and reliability first. As your business email is so essential to the future of your company, you should decide on a free email provider that is going to consistently deliver high-quality hosting and security. Every business has individual needs, but there are some basic rules when choosing a hosting provider that you want to stick to. This is a good start for anyone who is just setting up their business email for the first time as well. You should always search for a hosting provider’s uptime and make sure that it is at least 99.99 percent. This means that the hosting provider rarely fails, and it means that your server will continue to stay up so you do not have issues with failed email messages. Most email service providers will offer some kind of security options like spam filters. It is important to pick an email platform that has lots of ways to set up spam filters and secure your inbox. You definitely do not want to have a data breach in your business inbox. There are also hosting providers with built-in security applications such as malware detection. How easy is it to set up? That is a common question for those who do not have a business email. If you choose a good hosting provider, it should only be a couple of clicks to create a business email and start checking your inbox. Storage is a big issue. In some cases, if you have a mail quota, then you may limit inboxes to rather small amounts of storage. This is best if used by start-ups and small businesses that may not want to pay extra for large amounts of email storage. Most hosting providers use cPanel today to set up your server and give you access to business email. However, there are some that also provide advanced email features such as the ability to recall a sent message or schedule tasks. There are also ways to integrate a CRM with your email inbox. What do customer reviews say about the hosting provider? You can tell when a server is bad and constantly failing. Customers have no issues writing a review these days. You should do a bit of comparison work and research before selecting an email service provider. Hosting plans typically come with a set amount of bandwidth and storage for the price. You may get more options from choosing a dedicated server that lets you allocate the space you want for your email databases. Everyone at your company should have a professional email address that they can use to communicate and talk to customers with. After all, employees represent your brand and should only use a professional inbox when doing so. As you are starting your business out, you may choose different naming conventions depending on how many employees you think you will have. You may also need to set up additional sub-domains so you can create different departments and their email addresses. You can use your employee email addresses for corporate communications, training, and procedural information as well. If employees use different email services to communicate with you, then it will not be traceable. You can track and storage messages in your email inbox using business email accounts. The following hosts have incredibly low-cost plans for beginners. You will either spend nothing to get set up on Zoho if you already have a domain name, or you can easily get started in five minutes or less with a hosting providing like Bluehost or Hostgator. Sidenote: Why These Hosting Providers? Bluehost and HostGator are two of the top name brands in hosting. They each have incredibly cheap base hosting plans that include free business email hosting. You can also set up the accounts in minutes. Other hosting providers may have additional configurations, but in just a few clicks, you can create a business email and start sending emails to your customers and clients! 1. Go to Bluehost.com and create an account. If you already have a Bluehost account, you can skip to step 2. 2. 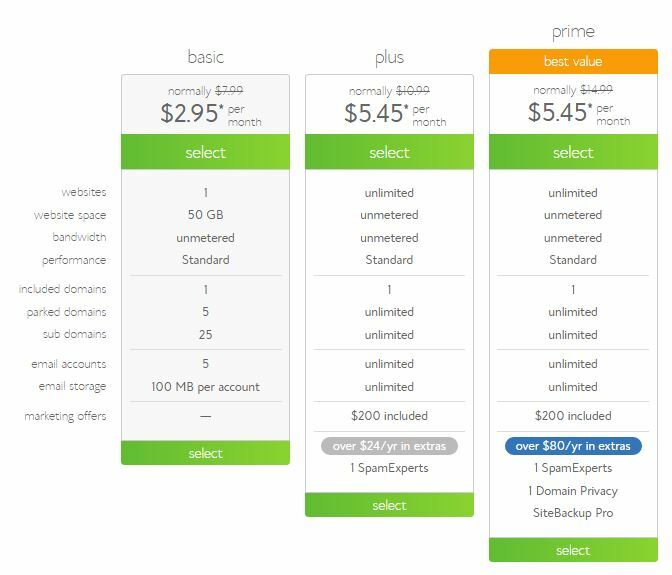 Click on “Web Hosting” and select a plan. 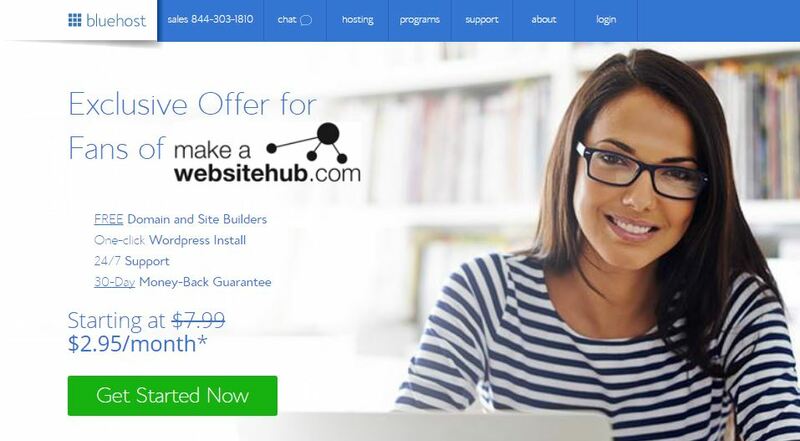 Even the base plan on Bluehost includes free business email hosting for less than $3/month. 3. Once you have set up your account, log in to your cPanel account. To get to cPanel, make sure you are logged into your Bluehost account and go to your “Control Panel.” Click log in and enter your username and password. 4. After logging into cPanel, click on “Email Accounts” under “Mail.” This loads your Bluehost email management tool. 5. Enter in an email and password. You can also set your mail quota. You can leave this alone for it to stay at default, which is 250 mb. 6. Click “Create Account” to finish setting up your first email address. In addition, you can set up additional security options including SpamAssassin to help with catching spam in your business email account and preventing data breaches. This method uses the Free Zoho Workplace plan if you already own a domain name. If you have a website for your business, then you should use the same web address as your email address in most cases. For some IT security reasons and certain industries, you may want to use a separate email address domain or an add-on domain. You should speak to a network administrator if you are not sure what type of email address domain you want to register. 1. Go to Zoho.com and create an account. 2. Select the free “Workplace” account that lets you “Sign up with a Domain you already own.” Use this link. 3. Fill in the necessary details and click “Sign Up” to finish setting up your Zoho account. 4. Verify your account using the unique number that Zoho will text to your phone. This will ensure your privacy and security. Zoho wants to make sure you are not a spammer. 5. Once Zoho verifies your account, a message will pop up to go to the Domain DNS Manager in Zoho. You can pick your domain’s DNS host from the dropdown. This would be Bluehost, HostGator, GoDaddy, or any number of other domain registrars where you first registered your web address. 7. Copy the “zb*******code” which is different for each domain that you are trying to move over. This is generated in your Zoho account. 8. Paste this code in the “Host” field. Enter “zmverify.zoho.com” under “Points to” field in DNS records and click “Save” to finish. 9. A message will pop up once your CNAME is added and will as you to “Proceed to CNAME Verification.” Click “Verify Now” to continue. You are now using Zoho’s free hosting plan to build your business email. 10. Click on “Create Account” to start creating a business email. 11. Configure email delivery by adding MX records. To do this, you will need to log in to your hosting provider’s DNS Manager. You can log in to Bluehost, HostGator, GoDaddy, and click on “DNS Manager” to add the MX records. If you have trouble, you should contact your hosting provider’s tech support. Once in the DNS Manager, there are a series of quick steps that you need to complete before you start to receive email within Zoho to your customer business email address. 13. Click in the “Priority” field and enter “10” then click “Save. Note:All other MX records should be deleted except for these three. 16. A message will pop up that reads “Configure Email Delivery” and should tell you that MX Records are now pointed to Zoho servers. This means that your email setup is complete. You can test it by sending an email to the business email address and looking for it in your Zoho inbox. You should keep in mind that some MX records and procedures are different for each hosting provider. If you are not sure it is working or find that your email is different, then look at your hosting provider’s help files on “DNS Manager Email Setup” or call your host’s support line. Like Bluehost, you will need to set up a hosting plan and HostGator account to get free business email accounts. This guide walks you through the process of HostGator’s account set up and accessing cPanel to set up your email. 1. Go to HostGator.com and click “Web Hosting” for a basic package. You can also choose Cloud Hosting, WordPress Hosting, VPS, and Dedicated. All hosting packages include free business email. You can get free email, hosting, domain name and web builder for just $3 per month. 2. Select a plan and create your account. You will receive an email with your server name. 3. To log into cPanel, enter the following address in your browser: https://ServerName:2083. Replace “ServerName” in the URL with the server name provided to you in your welcome email from HostGator. 5. Enter the email address name and password. Your password strength will be measured. You should pick a strong password to secure your business email with. 6. Enter a Mail Quota if you like. The default storage is 250 mb. Depending on the method that you chose above, you can access your emails in multiple ways. Bluehost and HostGator both have their own business email platform that you can use through cPanel called Webmail. In Bluehost, you can access your email by going to bluehost.com/webmail and entering in your email and password details. Click “Login” to go to your inbox. You can also go to webmail via a direct link. This direct link is automatically created when you set up your business email. To access it, just type in your domain name followed by /webmail. For example, yourbusinessname.com/webmail. You can then log in with your username and password. If you are using Zoho, simply login and click “Email” to go to your email dashboard area. Zoho offers a lot of options for organizing your inbox, so make sure you play around with your settings to set up your folders. What are the Best Free Business Email Hosting Providers? We took a look at some of the best free business email hosting providers out there. If you are going to choose an option without a custom domain name, these are some of the most recognized names that let you create free email addresses and provide storage. You may want to come up with a naming convention for your brand if using one of these free email providers. Gmail is a free option that many businesses use. Google has a good reputation and includes advanced features for filtering out spam and recalling emails. You can also use the email forwarding feature to send emails to multiple departments. You can also set up a custom business email account with Gmail. However, you will need to use your own hosting provider or purchase G-Suite, which is the paid Gmail version that lets you manage your email through your Gmail inbox. Have a look at my Gmail Shortcut Cheat Sheet to make using Gmail even faster. There are a lot of features to love in Outlook. For one, the service provider has Clutter, which finds emails that are low priority and separates them out of your inbox. There is also the undelete feature or recover an email if you’ve discarded a message accidentally. Microsoft also bundles Outlook with Microsoft Business 365 so you can access Microsoft Word and Excel from your Outlook account. Apple users are accustomed to using this handy email service provider. If you have created an Apple ID on any device in the past, you actually do have an iCloud Mail account already. iCould email is a great choice if you frequently check your mail on the go with your phone. There are a few different security features that stand out with this service provider, including a two-step verification and a spalm filter. Yahoo was one of the earliest internet companies and has had some setbacks, but their email platform Yahoo! Mail is still a top choice for many people. It includes auto delete of trash messages, huge storage capacity, built-in web search tools, spam filters, and SSL encryption. Signing up for Yahoo! Services also brings you into some of the other products that Yahoo connects with like Flickr and Tumblr. You can start to create your business profile on different websites using your Yahoo email address. If you want a good, basic free email account, then GMX is a good option. This one has free unlimited email storage, which is great if you plan on having a lot of traffic to your website. It also has a really nice mobile app and interface so you can check your mail on the go. There is a spam protection feature to keep your inbox safe and a virus protection feature. GMX organizer is also a popular way to manage appointments. Yandex is on the lower end of the spectrum when it comes to free email service providers. It is also apart of Russian’s largest search engine Yandex. This free email provider includes spam and virus protection, and you can get unlimited storage for free. However, this is a bit misleading as you actually start with 10GB and then gain storage every time you have less than 200 MB free. This may result in non-deliverable mail daemon errors if you have abundant traffic. If you plan to use a free email account, know the risks for your business. You may not be seen as a real company, and you may not be able to get a foot in the door if you are a salesperson trying to connect with other businesses. Professional businesses are expected to use a custom domain name for their email communications because it means trust and loyalty. Businesses need better email options. Over the years, it has gotten much simpler to create a business email account and start setting up your enterprise. Many email service providers today offer low-cost plans to get you started that include tons of storage for business email, even unlimited storage plans in some cases. The best options right now including Bluehost, HostGator, and Zoho to have a professional email for free or at a very low cost. These hosting providers make it very simple to get started and set up any kind of email account using cPanel. If you want to stay on top of your business and communication, the best way to do so is through a professional email address. You can show it off proudly on your website and business card, while giving customers, clients, press, and B2B connections a real way to trust and interact with your brand. Don’t forget to check out our Bluehost coupon and Hostgator coupon pages to see if you can save even more money with your business email and web hosting. And when you do get your business email address, you’ll probably want to read my Build An Email List guide. 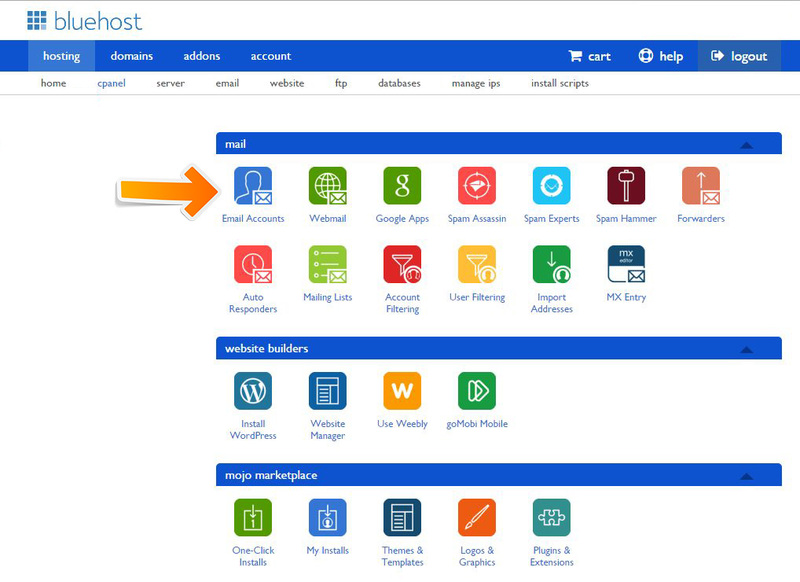 Can hostgator webmail be set up with MailChimp or similar? Yes. You can integrate most email marketing apps. Thanks for the post . I am glad you did mention about zoho. I think that was one of the best decisions i took in building an online presence for my brand. It help me to have my email hosted on another server which i believe is important so far as security is concern. Also, with the email, you can access more than 50 cloud software for free. I am able to create invoices, use their crm ,manage campaigns and take notes with my zoho.com account.